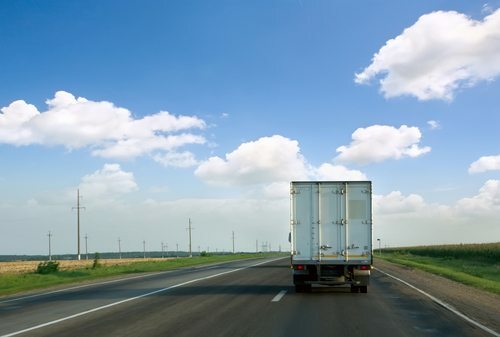 Are you considering joining the trucking industry? You might be surprised how quickly you can secure a career as a trucker with the right education, some dedication, and a good attitude. To obtain your commercial driver’s license (CDL), you simply need to enroll in a truck driving school. There, you will learn valuable skills, knowledge, and knowhow, and in just four weeks, you’ll be ready to test for a CDL and start applying for jobs. So how much is truck driving school? Scroll down to find out. The Tuition Itself. The tuition will differ depending on a number of factors. In general, expect to pay between $4,000 and $5,000. A Class-A CDL Permit. The price of your Class-A CDL permit will depend on your state — in Missouri, it costs $32.50. A Class-A CDL License. Again, this price will vary based on your location. In Missouri, it costs $71.25. Health Exams. You might need to have a physical and/or a urinalysis drug test in order to complete your schooling due to Department of Transportation (DOT) regulations. These might run anywhere from $40 to $60. As noted above, costs vary from state to state. Some states may require more schooling than others, which could hike up costs in one state versus another. Other times, a state may have certain prerequisites for obtaining a trucking license (like the physical and urinalysis mentioned above). In addition, some states simply charge more for CDL permits and licenses. This will affect your overall cost for trucking school. Like any other time you make a purchase, prices vary between organizations, institutions, and brands. Different schools offer different tuitions. Note that the most expensive school will not necessarily be the absolute best. Similarly, a good deal won’t always mean lower-quality education. Instead, look for a school that fits your budget and has a proven track record of jumpstarting budding truckers’ careers. If you’re struggling to fund your education, explore financing options. There are many government programs — both state and federal — that provide funding for students that qualify. Additionally, you can apply for scholarships and grants from nongovernmental organizations to receive financing. These options can significantly lower your payments. Depending on where you live, you may or may not have a trucking school nearby. Even if you don’t have a trucking school around the corner, don’t rule out this career path. Some schools accept and accommodate out-of-town students. Note that this will increase the overall cost of trucking school, as you will have to account for lodging and food. However, finding a good school will set you up for a career that helps you earn that money back. Lastly, you must consider the type of course you want to take. Are you just now getting into trucking? If so, you’ll take a regular training program, which is generally three to four weeks long. However, there are also courses for truckers who have their CDL but wish to revisit the material (perhaps because they’re reentering the industry after a break). These are called refresher courses, and they are generally only one or two weeks long. Because the two types of courses vary in length and material covered, they have two different price ranges. As you can see, you won’t find one straight answer to the question, “How much is truck driving school?” To find out exactly how much you’ll need to afford your education, contact your preferred driving school. If you would like to learn more or are ready to apply, get in touch with us online or give us a call at 417-831-8188. We’re excited to hear from you!